Tomado con permiso de Sue Waters (WPMU DEV Premium). Nos parece muy útil en el proceso de selecciona un tema para el blog. 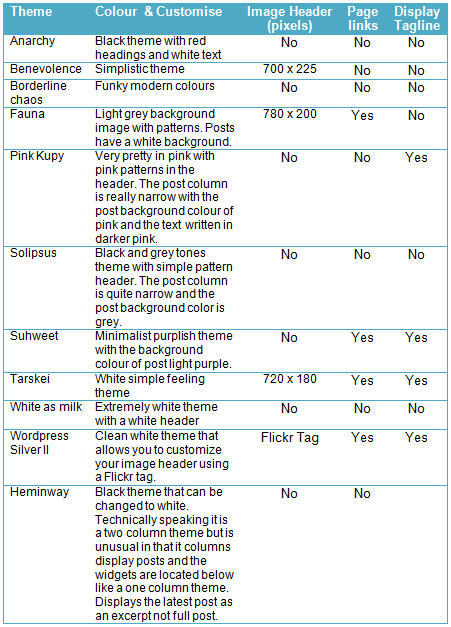 Given there are 100 Edublogs themes to choose from ranging from those that can’t be altered to themes that are “extremely customizable” you can spend considerable time testing themes to find the “perfect theme”. Single Column themes have a central post area with no sidebar. These theme appeal to people who like to keep their theme simple by preventing the clutter often created by sidebar widgets. 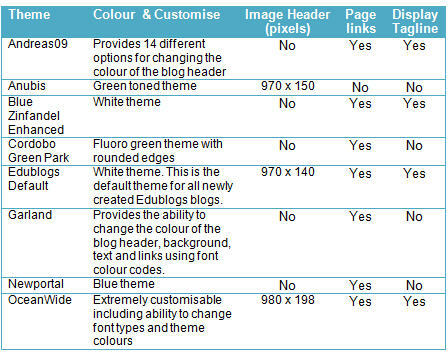 All widgets are located at the bottom of the blog on one column themes. 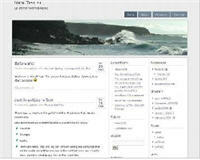 Two Column themes normally a wide column for content with a narrower sidebar. These are the most common theme layout and location of the sidebar (left or right) is personal preference. The most appealing aspect of three column themes is the ability to place more widgets in the sidebar. 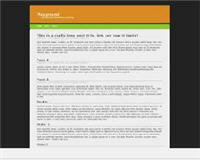 Sidebars side-by-side three column themes on one side of the blog allows you to use this aspect well. 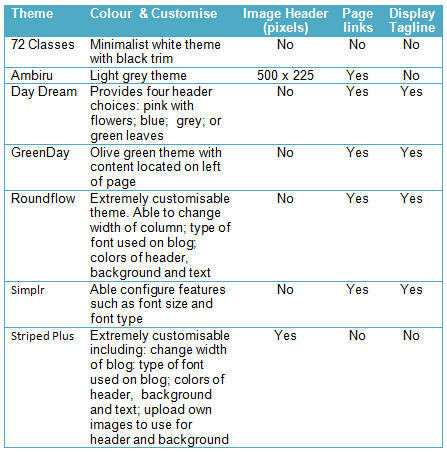 Four column themes have one content column and three sidebars. The content column is often the same width as the other columns. This type of layout tends to be cluttered looking and less suited to reading lengthy content. 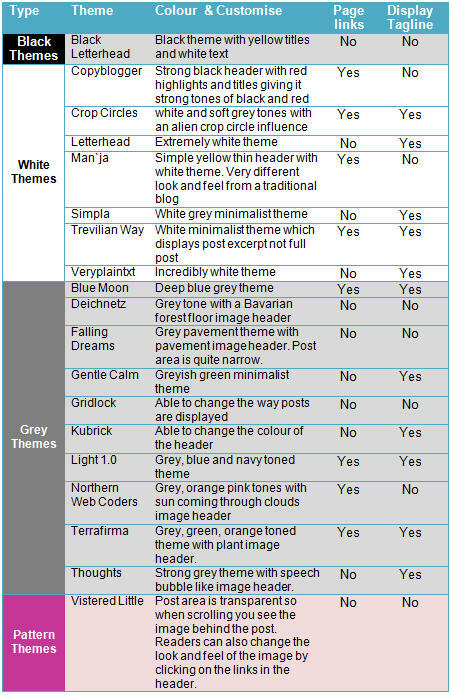 However this category includes themes like CommentPress which is very unique. 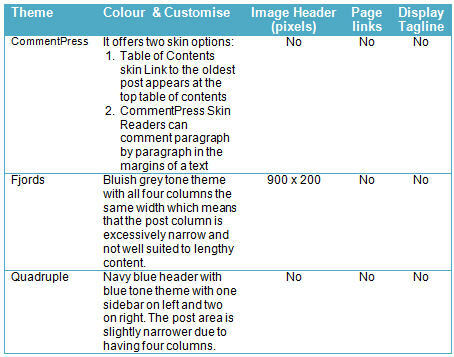 CommentPress is ideal for writing collaborative documents or for providing resources because its Table of Content Skin places the oldest post at the top table of contents and your readers can comment paragraph by paragraph! 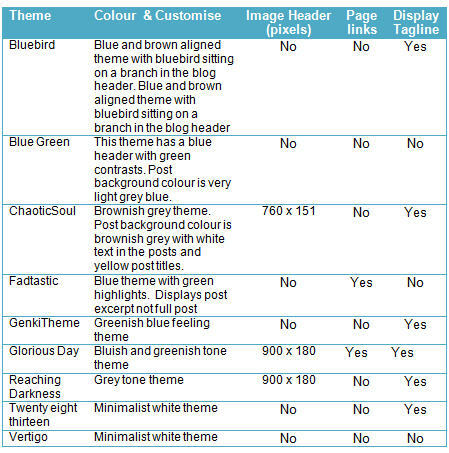 These themes provide greater opportunity for customizing if you want to change color of your blog based on font color code or change font type. Roundflow – One Column. 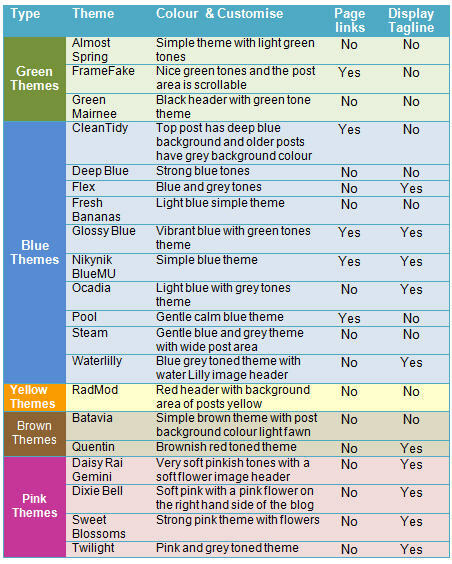 Can change the colors on the blog, width of column and type of font used. Simplr – One Column. Able to change width of column and type of font used. Striped plus – One Column. 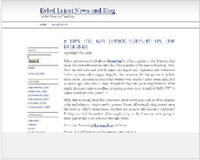 Able to change colors on the blog and type of font used. Mandigo – Two Column. 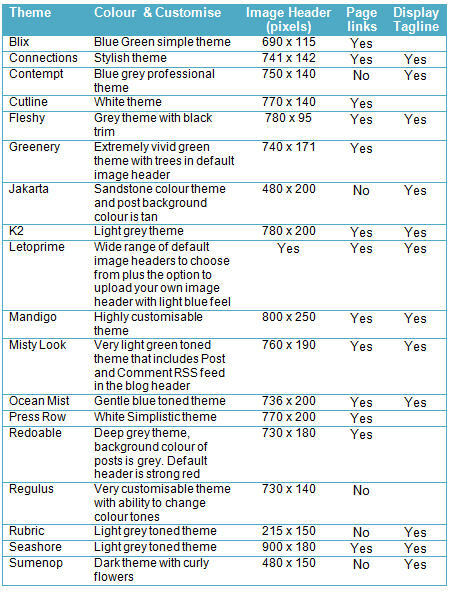 Extensive range of image headers to choose from and able to change colors on the blog using font color codes.